Simple and creative hanger and bag design works well as a sustainable carry bag, offering a convenient hanger also. The H+Bag design has a functional edge and combines the simplicity with green living and green design ideas. 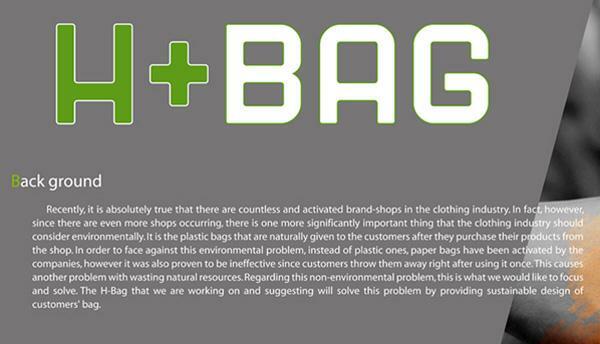 Stores give us attractively decorated carry bags, made of paper, which we use for bringing clothes back home. Adding a twist to the paper bags creates functional, light and eco friendly hangers, made of recycled paper, that are perfect for keeping clothes in home closets. 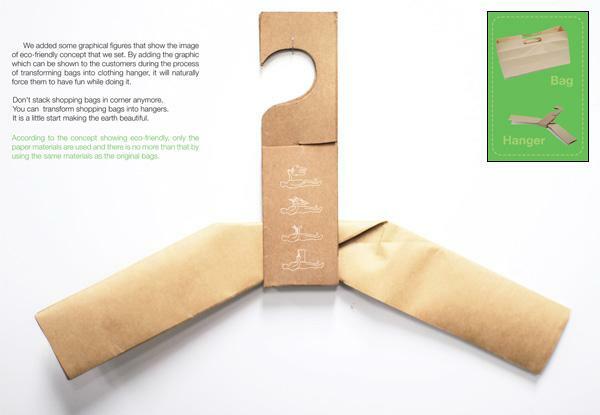 This paper hanger bag is a great eco storage idea that are interesting and innovative. Simple and playful hanger bag design idea will be appreciated by adults and kids, and can be used for clothes storage in eco homes and offices. Paper hanger bag H+BAG is a 2012 iF Design Talents Entry, developed by designer Hyo Jun Jeon. Easy to use, light and strong, this hanger bag features sustainable design and unpretentious look, offering simple and fun to use eco friendly products for modern eco homes.